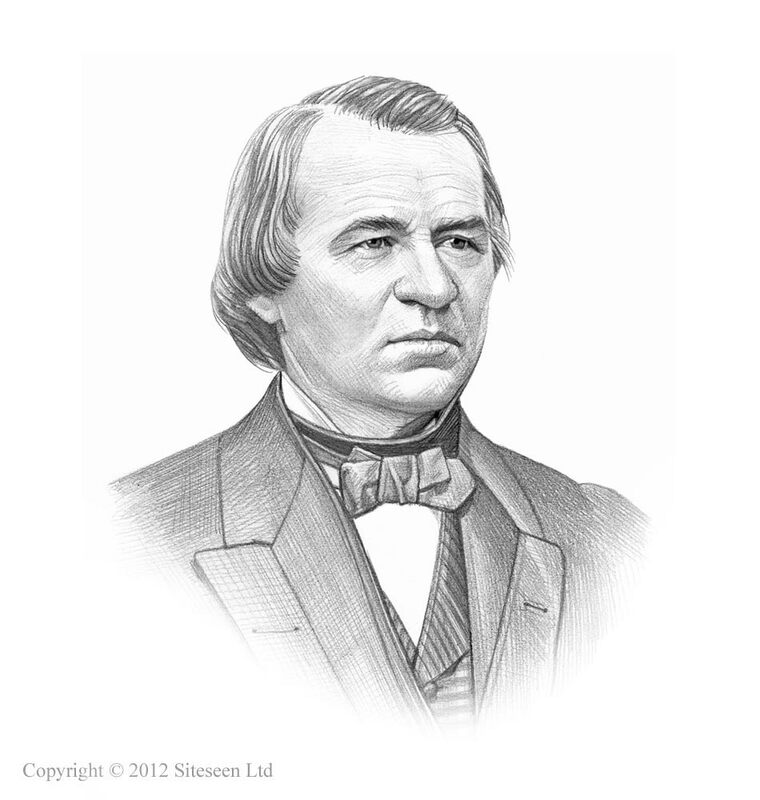 Purchase of Alaska: Andrew Johnson was the 17th American President who served in office from April 15, 1865 to March 4, 1869. One of the important events during his presidency was the purchase of Alaska. Summary and definition: The Alaska Purchase was made by the United States of America from Russia in 1867. The Alaska purchase is also known as " Seward's Icebox" or "Seward's Folly" because the United States Secretary of State, William Henry Seward, purchased Alaska from Russia for $7.2 million which was considered to be a huge mistake by many and an economic liability for the nation. Alaska is the largest U.S. State and about 1/5 of the total land area of the 48 contiguous states (adjoining states). The land that covers 586,412 square miles and has nearly 34,000 miles of tidal shoreline. Franklin Pierce, the 14th president of the United States is credited with initiating the first discussions on acquiring Alaska from Russia. In the Monroe Doctrine of 1823 the Czar of Russia had agreed not to establish colonies in the recognized southern boundary of Russian America. The Alaska Purchase took place on October 18, 1867. This famous transaction was initiated by William Seward and President Andrew Johnson who approved a treaty with Russia for the purchase of Russia's American territories to the Senate, for ratification. The territories were called Alaska, and included a massive tract of land in the extreme Northwest of the North American continent. The price to be paid was 7.2 million dollars. The Senate was taken by surprise, but it ratified the Treaty of Russia. Full details of important dates and the people involved in the Alaskan acquisition are detailed on the fact sheet. What was the Alaska Purchase? It was the acquisition of Russian America by the United States from the Russian Empire. When was the Alaska Purchase? Why did Russia sell Alaska? Russia lacked the money required to support military presence and establish new settlements along the Pacific coast of North America. Russia believed that Great Britain would take the land from Russia by force. It was politically and strategically preferable for the United States to buy the land than have it taken by the British. Defeat in the Crimean War further reduced Russian interest in this region. The Treaty of Russia, detailed the amount for purchasing the Russian American territories for the amount of $7.2 million. The Treaty with Russia important Dates: Treaty of Russia signed March 30, 1867. Ratification Advised by Senate on April 9, 1867. President Johnson signed the treaty on May 28, 1867. Ratification Exchanged at Washington on June 20, 1867. Proclaimed, June 20, 1867. The Russians were initially interested in the lands because of the possible raw materials and were especially interested in furs. Peter the Great sent Vitus Bering to explore the North Pacific in 1725 and the Russians claimed the lands. They found the land inhospitable, difficult to settle and were attacked by hostile the native Aleut people. The transfer ceremony took place in Sitka on October 18, 1867 when the Russian flag was lowered and the American flag raised. Russian and American soldiers paraded in front of the governor’s house accompanied by bands and the sound of firing canon. The newspaper press heavily criticized the acquisition which was given several nicknames including "Seward's Folly", "Seward's icebox" and "Andrew Johnson’s Polar Bear Garden"